Double X Science: Work-Life Balance for Whom? 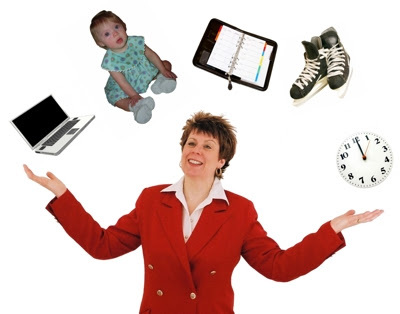 Today we are grateful to Athene Donald for allowing us to repost her piece on work/life balance. This post originally appeared on her blog, Athene Donald's Blog, in July of this year. Professor Athene Donald is Professor of Experimental Physics at the University of Cambridge. She has spent most of her professional career at Cambridge, apart from 4 years at Cornell University. She is a soft matter physicist, currently mainly researching physics at the interface with biology. Within her University she is the Gender Equality Champion, and also nationally chairs the Athena Forum, which aims to disseminate best practice with regard to gender within Higher Education. She was elected a Fellow of the Royal Society in 1999, and is chair of their Education Committee. She was awarded the L'Oreal/UNESCO For Women in Science Laureate for Europe in 2009, and appointed a Dame Commander of the British Empire for services to Physics in 2010. She is mother to 2 adult children. For more information, you can follow Athene Donald on Twitter. Can women ‘have it all’ (i.e. have a family as well as a career) is a question frequently asked, and one Sally Feldman referred to in her article in last week’s Times Higher Education. Although the sub-title for her article said ‘despair not’ – despite the growth of presenteeism, the high-profile women who have dropped out of pressured jobs because of the call of family and the growth of out-of-hours communication via Blackberry and their look-alikes – despair not, she says, because ….well to be honest I’m not sure why she feels that way. It wasn’t at all clear to me from what she wrote. At the end of the article she referred to various utopian solutions and tossed out a final solution, she attributed to Sheryl Sandberg, namely ‘find a supportive husband’; but she wrote as if she lacked conviction. I certainly felt despairing reading her article, because it started from the implicit old, familiar premise that looking after family life is all down to the woman, and hence her final remark merely looked like an attempt at a little amelioration, rather than a solution. Many years ago the norm was the model of male breadwinner and female stay-at-home wife. Society has moved on to the position where women are in principle able to succeed just about everywhere – no more medical school quotas, or rules forbidding a wife to occupy a more senior position in an organisation than the husband (as was historically the case in my own university), so the formal obstacles are reduced. But society has not yet really got to grips with the fundamental problem which is that, where family matters matter, someone has to deal with them. But that doesn’t mean that it has to be – by default – the woman’s problem. It just usually turns out that way. It is disappointing not to see a wider recognition that it takes two to beget a child and, except for those unfortunate individuals whose partner is not still around once the baby comes along, therefore there are two parents to deal with most of the child-rearing issues. Maybe the mother feels the stronger bond, maybe even there are biological reasons which make that the case, but – once days of breastfeeding are over – there really aren’t significant tasks a man can’t tackle given the will. Yet, still, it remains the case that the standard societal expectation is that it will be the mother who does the lion’s share of the childcare (or be the one who seeks out alternative solutions) and women – in academia and elsewhere – will continue to be held back as long as that’s the case. What works for any given family will be very personal, determined by a multitude of factors. I am hardly trying to suggest that women should simply look automatically for role reversal, but I found it disappointing that Sally Feldman’s sights were set so low. I was fantastically fortunate. I most certainly had a more-than-supportive husband and my success undoubtedly came at his expense . He gave up his own career aspirations so I could pursue mine and he bore the brunt of meeting children from school and being the one at home to allow me to travel (albeit I certainly did meet the children quite frequently and I severely restricted the travel). That ‘worked’, in so far as giving up career aspirations can ever be said to work, given our own situation. It was an action almost unheard of at the time all those years ago. But it strikes me as not unreasonable that, before a child is born or even conceived, a serious conversation about how the childcare is to be sorted out/apportioned should be had between the parents, and that this should be regarded as the norm rather than anything exceptional. (Almost certainly the conversation will need to be had again in the months after birth, once reality has hit.) For many families, traditional patterns may well be best, but where a woman is making great strides in her career, let it not be assumed that it will automatically be her’s that then slows down. I am pleased to say I do know academic couples where both opt to work part-time (probably just for a limited period), or at least both expect to slow down, cut back on travel or – at the very least – devise staggered patterns of working so that both can put in approximately a full day but perhaps at slightly unusual hours. The men involved welcome this shift in emphasis and recognize it as appropriate in an equal relationship, rather than see it as an imposition. Far from seeing the constant accessibility of email as a problem in this context (as Sally Feldman appears to), it seems to me it confers flexibility so that, if working late at night fits in with your schedule (and you can keep your eyes open), you can fit in lots of the drudgery of clearing up your inbox from the convenience of your own home once the children are safely tucked up in bed, having spent those crucial hours between end of school/nursery and bedtime with them. At the meeting for postdocs at IC I wrote about recently, I was asked by one pregnant individual how she should set about things after the birth. She seemed surprised I raised the fact that, if her partner was still around, that meant there were two of them to find a solution. Why don’t we talk about this question more? The problem is probably more acute for women in academic science than in some other professions because – certainly in the field of physics – it is so common for women to be married to other (physics) graduates. The statistics on this (summarised here) show overall that more than sixty percent of women with PhDs in science have husbands with PhDs in science and that women in the sciences are much more likely to have spouses with science PhDs than is the case in reverse. This can mean two people both with constrained choices for location of work and suffering a place of work with a long-hours culture. At a recent meeting of the Russell Group Equality Forum I attended, one speaker pointed out that the change in paternity law, allowing the time off (maternity leave as was) to be shared between parents, was already having a discernible effect in their institution, where they had been proactive in distributing information about what the change in law meant. I would wish that people like Sally Feldman would move on from thinking a ‘supportive husband’ is sufficient – which sounds to me like one who is willing to go down to the supermarket with the children occasionally, or sometimes put them to bed, rather than one who is completely stuck in to shared parenting – to seeing childcare as a joint enterprise with neither parent automatically shouldering a significantly heavier load. We – women and men – need, collectively, societally, to talk about the change in law and the consequent changes in practice it facilitates. The Scandinavians have been doing this for a while, to some effect although not complete success. This piece is not intended to be a feminist rant – for many couples the traditional model is likely to remain best, be it for financial, emotional or simply pragmatic reasons. But, unless we widen the debate and make it increasingly the norm that men assume practical responsibility for tasks still seen by default as the woman’s, we cannot expect to see the significant improvement in women reaching the senior ranks that might be expected, given the quality and number of women with their feet on the bottom rung of the professional ladder.